Also SEARCH 'trike kit' for more threads and information. Why not look at the 3 wheelers from Piaggio-----they have one advantage over the US kits.......ex-factory, set up right and they lean! Last time I lived in Europe, really fun to watch in action. US 3 wheelers not much in handling dept. I remember local cop on Harley Servicar trying to catch us (we on 125 rubber band fork 125's)-----His inside wheel coming up, sometimes leaving roadway-----All this to catch 125's that could only go about 40mph, downhill/tailwind.-----and Oh, the Italians have been thru various approval processes for safety road operation----US Kits I doubt, probably none done by Germann TUV, etc. The CanAM set up to be idiot proof=expensive/uses lots of gas/heavy. I don't think the Piaggio MP3s are imported anymore. They aren't to Canada for sure. 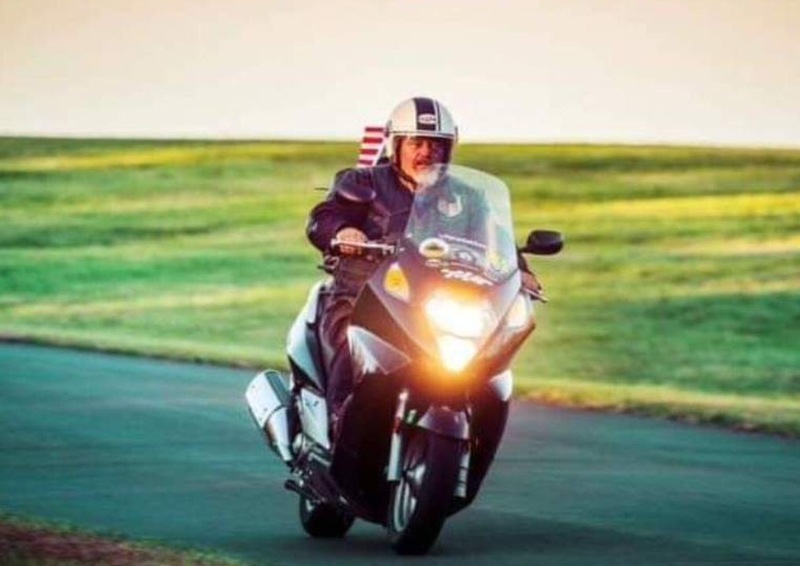 On a positive note---I at 73, DAV/stroke, may someday have trouble walking----but not at this point, solo scooter ok, even to put on lift alone. Rather than put/waste $6000 plus on trike kit, why not try sidecar----Texas Sidecar has done SilverWing hookups @around $3500. Somebody in western Canada makes proper steering dampener, I think.-----now difference between sidecar outfit (I drove them for 40 yrs) and trike good set of driving skills required for sidecar---trike appears to me...just plop on and hope inside wheel stays down. I have near 75,000 mile trike experience----2 Messerschmits in the 50's...so know inside wheel in air.----once bike is converted right to sidecar use,not much good solo---I don't know if anybody makes different trail fork tree(maybe trike maker should), fork springs available, lower final drive gearing? ?smaller OD rear tire might work----and now for the car tire nuts, perfect chance to put car tires on as normal sidecar outfits don't lean----car bead and mc bead mix scares me a bit with side forces. I expect drive belts to be eaten up in sidecar use---about 20 years ago German magazine did Helix/sidecar test...they ride them hard---4,000km belt life. Last I feel sidecar outfit behaves better on ruff roads...and of course fun, like "flying the sidecar wheel"
Last point---I think with unbraked sidecar wheel, stock ABS might work.....don't think that is case with trike. I have a Danson that I purchased for my wifes SW. Less than 10 miles an it and she does not like it. I didn't even put the fiberglass trim on it. Well as luck would have it my daughter wanted a SW but alas without a trike kit. So off came the kit. Danson's are not the cheapest but are the best design in my opinion. You can google the Danson, they are 4,995, 119 for the hitch kit, 400 to ship and 500 to paint. It adds up. I'll take 3500, OBO, if you have the Honda red you won't need to paint it. If you are near Huntsville AL then I can show you how it mounts. Of course I do have the instructions and the mounting hardware. I will try to get some posts up on the kit which I took as I dismounted the unit. The kit was installed in 2010 but since I found that I spent more time in Afghanistan than riding the bike simply sat in the garage. I am keeping my other SW, it's sure nice to be back on the road, thats for sure!